There has been quite a lot of controversy surrounding this plant glycoside — that is, once people stop confusing amygdalin with the two almond-shaped brain nuclei, amygdala, which controls our perception of fear. Defined simply, amygdalin is known to the medical community as vitamin B17, despite the fact that it is not a vitamin. The confusing appropriation was given to the glycoside for its supposed cancer-fighting properties. This is where the dissension arose. Amygdalin is metabolized in the body to synthesize two molecules of sugar, one molecule of benzaldehyde, and one molecule of cyanide. Amygdalin allows the body to naturally produce cyanide. Nonetheless, these are in quantities that are, first of all, incredibly limited and secondly, in forms that are entirely inert. Put bluntly, taking amygdalin holds no potential for death. Even so, the public often finds their hackles raised at the mere mention of cyanide. This is a shame, really, as vitamin B17 does hold potential in improving health and wellness. You can receive the plant glycoside through raw food sources such as apricot seeds. However, the synthetic form, called laetrile, is also comparably effective in it being salubrious. Ironically, it is the cyanide compound that provides amygdalin with its cancer-fighting abilities. Specific processes in the breakdown of amygdalin support apoptosis of cancerous cells. Numerous medical studies have observed that cancer cells become more vulnerable to death due to the cyanogenic glycoside. This means that amygdalin can serve as a natural method to prevent the proliferation of cancer. A caveat though: the exact mechanisms in amygdalin breakdown seem to only appear along the gastrointestinal tract. Thus, amygdalin may also serve function for the prevention of cancer related to this body system. Researchers are experimenting if injecting synthetic versions of amygdalin (laetrile) in other areas of the body would prove to be just as effective. Vitamin B17 is also touted to be useful in reducing arthritic pain. It does so by lowering high blood pressure while strengthening the immune system. Because amygdalin is also a secondary compound, it generally works well with other vitamins such as A, C, E, and B15. The incredible synergistic response of vitamin B17 means that daily and ample intake of the plant glycoside can maintain good health. The specific way in which this glycoside is broken down implicates its use for the gastrointestinal system. 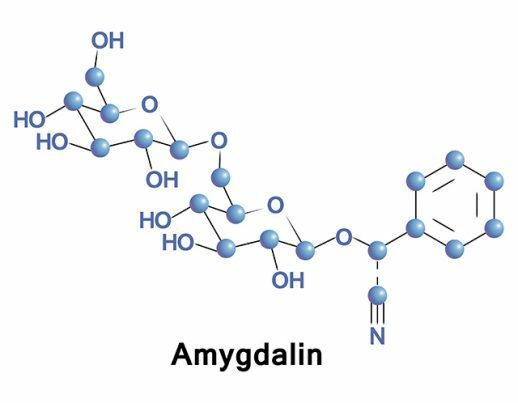 Amygdalin nonetheless can be maximized in its synthetic form to improve other body systems as well, although research into this topic of interest is limited. Hunza Tribe Is Free of Cancer: Apricot Kernels Might Be The Reason! Amydalin is called vitamin B17 even if it is not a vitamin. While there is controversy surrounding the plant glycoside, medical reviews have shown its efficaciousness in preventing certain kinds of cancer, particularly those concerning the gastrointestinal system.